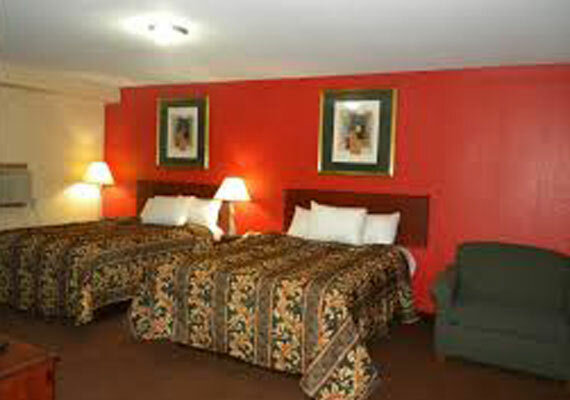 The Royal Pines Inn offers a variety of room types from king size or two queen beds and one family suite. 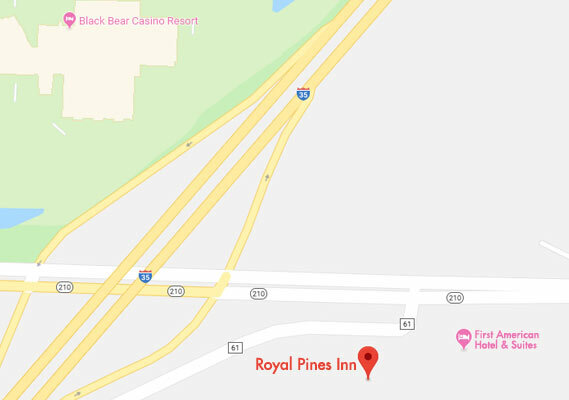 Conveniently located 20 miles from Duluth in Carlton, MN and a block away from the Black Bear Casino Resort. Shuttle service is available to the Black Bear Casino Resort. Daily and weekly rates are available. Guest check-in is at the First American Hotel & Suites next door. 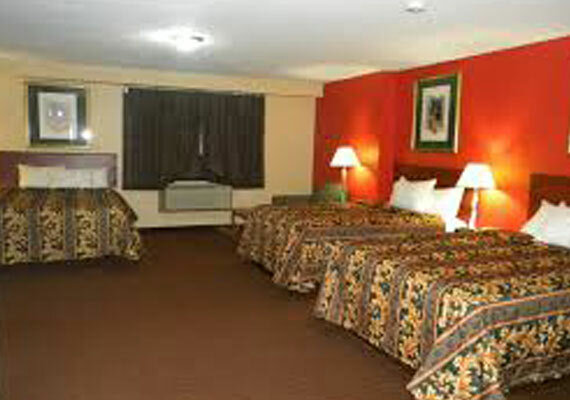 Amenities include: cable, free WIFI, microwaves, air conditioning, refrigerators and free parking. Rooms are smoking/non-smoking and pet friendly. We are surrounded by many activities nearby including hiking (Jay Cooke State Park), skiing (Spirit Mountain), golfing (Black Bear Golf Course) and more!